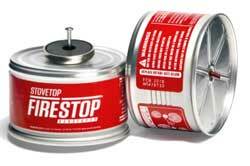 StoveTop FireStop is the best home safety device since the invention of the smoke detector. 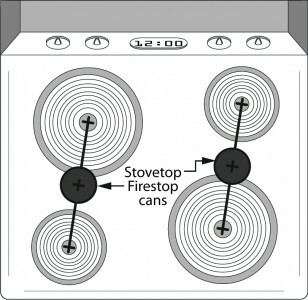 The StoveTop FireStop is a small automatic fire suppressor (small fire extinguisher) specifically designed for stoves. It mounts under the range hood using an industrial-strength magnet. 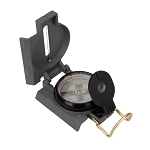 They automatically detect stove top fires 24/7 and extinguish them within seconds. One of most common types of fire is the kitchen fire - a grease fire. Many grease fires occur because people get distracted and leave their cooking unattended. When a pot or pan overheats or splatters greases, it can take seconds to cause a fire. Grease fires can cause serious injury and extensive property damage. It is extremely dangerous as it can get out of control quickly and spread from the stove throughout the kitchen and into other rooms of the house. stove top fires 24/7 and extinguishes them within seconds. Save Lives - Accidents happen. Whether they're your tenants or your loved ones, protect them from avoidable cooking fire related injuries. Save Money - Prevent thousands of dollars in costly repairs or the loss of an entire residence from cooking fires. Save Property - Cooking fires spread quickly. Protect your investments with effective, automatic fire suppression. Over 40 years of affordable, real-world protection from unattended cooking fires. Contact us for large orders for assisted living facilities, apartment buildings, college dorms, or any commercial order.